Despite having legalized adult-use cannabis in 2014, Alaska’s recreational marijuana industry is taking much longer than expected to begin realizing its potential. An understaffed state regulatory agency has been slow to license new businesses, and significant amounts of red tape at the local level have prevented some licensees from opening their doors. While growing pains are to be expected for a new market starting from scratch – Alaska had no medical marijuana industry before legalizing recreational cannabis – the slow rollout has caused significant supply shortages and some of the highest retail marijuana prices in the nation. 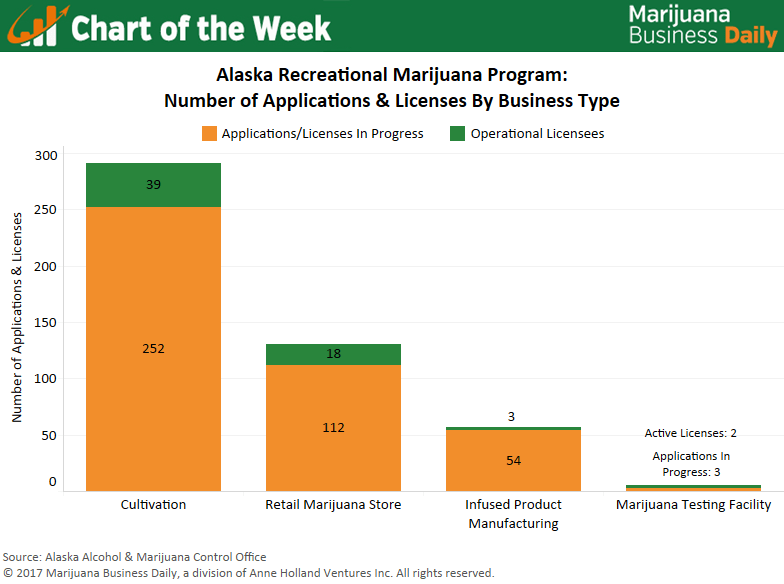 Alaska’s rec industry launched last October, when a handful of adult-use stores opened. As of March 1, a total of 62 recreational businesses were operational, while 36 more received a license but had yet to open their doors. A whopping 385 additional businesses are still lingering in various stages of the application process. It should be noted that a large portion of these 385 outstanding applications have been initiated by prospective business owners, but are not yet to the point where they can be officially reviewed by the state. 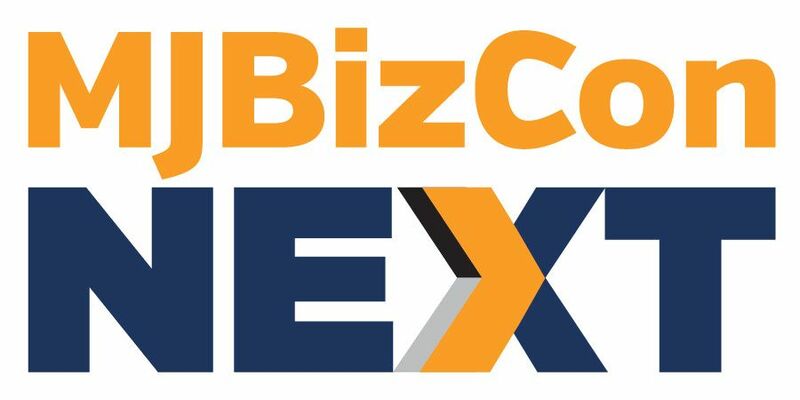 However, they illustrate just how eager entrepreneurs are to enter Alaska recreational market, and the stress that’s placed on the Alcohol & Marijuana Control Office (AMCO) – the regulatory body in charge of issuing recreational cannabis business licenses. Last month, the acting head of AMCO even went so far as to ask a state budget panel for more staff members to help manage the workload. Technically, Alaska has two types of cultivation and infused product manufacturing licenses, but for purposes of this analysis they have been combined. Cultivators may apply for a standard cultivation license or a limited cultivation license, the latter of which caps growing space at 500 square feet. Separate licenses are issued for manufacturers of traditional infused products (edibles, topicals, etc.) and concentrate manufacturers. With just 18 retail marijuana stores serving the entire state, customers have quickly gobbled up the limited inventory retailers have managed to secure, leading to long lines and retail prices hovering around $22-$24 per gram. By contrast, retail prices per gram in Washington state are about $7 per gram. Prices are expected to decline when more cultivators come online, though it may not happen all at once. Alaska’s expansive size and rugged terrain will leave some retailers without an easily accessible source of wholesale marijuana, though this will likely be limited to stores in more remote areas of the state. Anchorage – the largest city in Alaska by a wide margin – is illustrative of the burdensome regulatory practices that have slowed business rollouts. Accounting for 41% of Alaska’s total population, Anchorage is home to just 14 operational recreational marijuana businesses, accounting for 22% of all operational cannabis businesses in the state. The city of Fairbanks – which is part of the Fairbanks North Star Borough, a larger municipal unit with a population of approximately 100,000 – also has 14 operational recreational marijuana businesses, though it accounts for only 13% of Alaska’s population. More businesses in Anchorage, 18 in total, have been granted a state license but have yet to begin serving customers as they continue to navigate around issues such as parking and zoning before being allowed to open. The Alcohol & Marijuana Control Office is continuing to work through the large backlog of applications, but the staff is stretched thin, as they’re also responsible for providing liquor licenses. Despite the hiccups, Alaska’s adult-use market does not appear to be suffering from a lack of demand, and hopes are high the industry will thrive once licensing issues are sorted out.